Being a Christian in Hollywood can be difficult. There aren’t a ton of movies being made today that fit in with a believing actor’s moral compass. Moreover, there’s a stigma attached to many actors who willingly profess their faith just as there’s a stigma against conservatives. As such, the average Christian-themed movie is pretty poorly done from a purely critical perspective. The messages can be great, but the delivery can be lackluster. Neither Kirk Cameron nor Nicolas Cage could make one of the most popular Christian book series of all time successful. The Case for Christ is different. I was shocked when I saw that it received a 77% critical response on Rotten Tomatoes until I realized it was only reviewed by 13 critics. Go figure. Nonetheless, it was encouraging so I took my wife to see it last night. We were familiar with Lee Strobel’s journey from truth-seeking news reporter to truth-seeing evangelist and author, so we didn’t go for the sake of the story. As highly selective adults who have chosen to restrict our movie viewing to ones that fit our worldview (or that at least don’t attempt to trash it), we wanted to see if it was the rare “well made” Christian movie. Both the acting and the cinematography were very good. They delivered 1980 about as well as big-budget films, 70s red Camaro and all. Nobody’s going to win an Oscar from this movie, but compared to the poorly crafted Christian movies of today that have good messages but are artistically weak, this was a real winner. Mike Vogel delivered the right mix of skepticism and intellect. He was believable as he struggled in a quest to debunk the resurrection of Jesus Christ. I wasn’t expecting it based upon some of his previous performances in cultural garbage flicks like Cloverfield and The Texas Chainsaw Massacre, but he found his groove with this role. 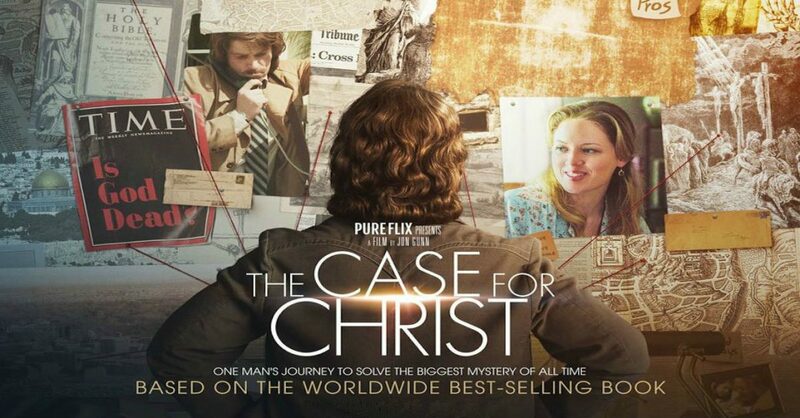 While far from being a critical masterpiece, this will hopefully bring more attention to the quality of Christian movies. They don’t have to look like they were made by a high school film studies class, nor does the dialogue have to sound like carefully crafted proselytizing disguised as robotic conversations. There needs to be a gelling of message and art that gets people not only interested in seeing a movie but that compels them to recommend it. Hollywood is a cesspool of left-wing manipulation of progressive propaganda. As a society, we’ve fought through to make conservative-themed movies like American Sniper and Zero Dark Thirty critical and box office successes. Now we need to do the same for Christian-themed movies. The Case for Christ is a step in the right direction. We need more of them. JD is a Christian, husband, father, business owner, and conservative. Find him on Twitter.